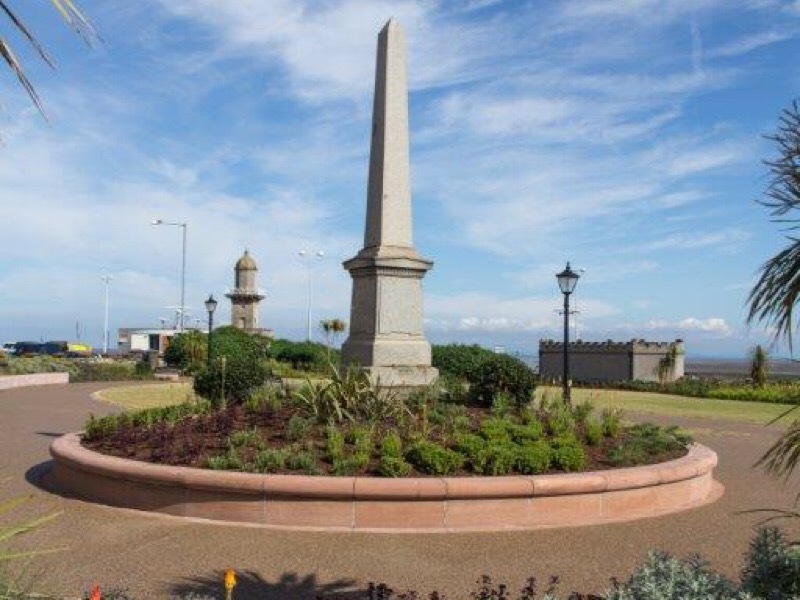 Working for Wyre Borough Council we were commissioned to construct a memorial park on the seafront at Fleetwood. This is a prime location for everything from wedding photographs to acting as a key gateway site for the area. 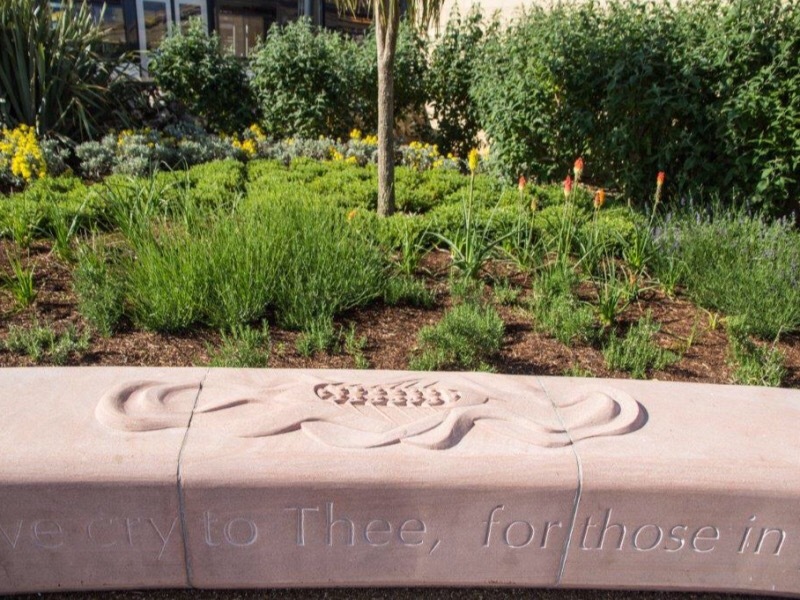 The design incorporates beautiful sandstone carvings referencing the lifeboat men that served the area. Set within the park is a highly effective planting plan that gives the appearance of rolling waves and ocean colours . Our in house resin bound aggregate team laid the surface finish to the pathways and this complements the stone and sett edging very well. Access was a challenge as we needed heavy machinery to lift in the sandstone blocks. However the logistics and planning paid off and the completed scheme gives the town a superb memorial garden and ourselves a great addition to our portfolio. 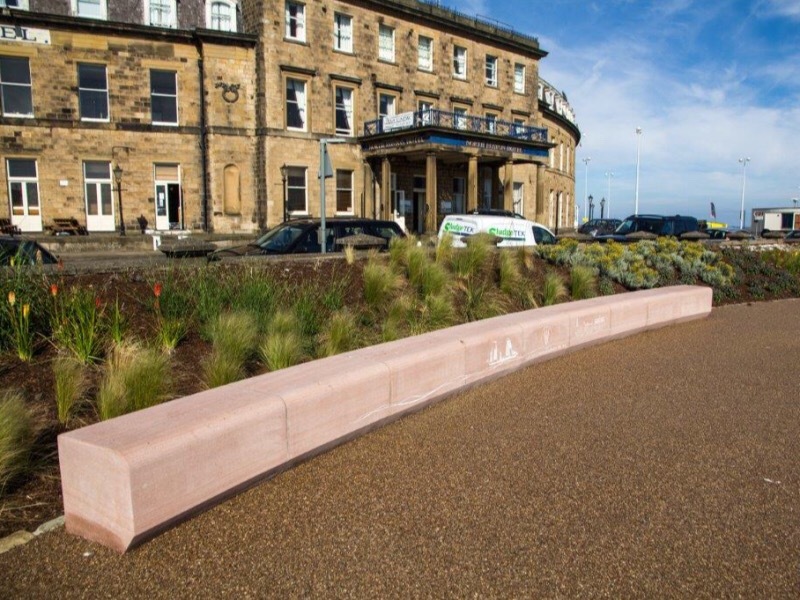 Resibond is a resin bound stone aggregate that is available in a series of colours to complement a wide range of material selections. 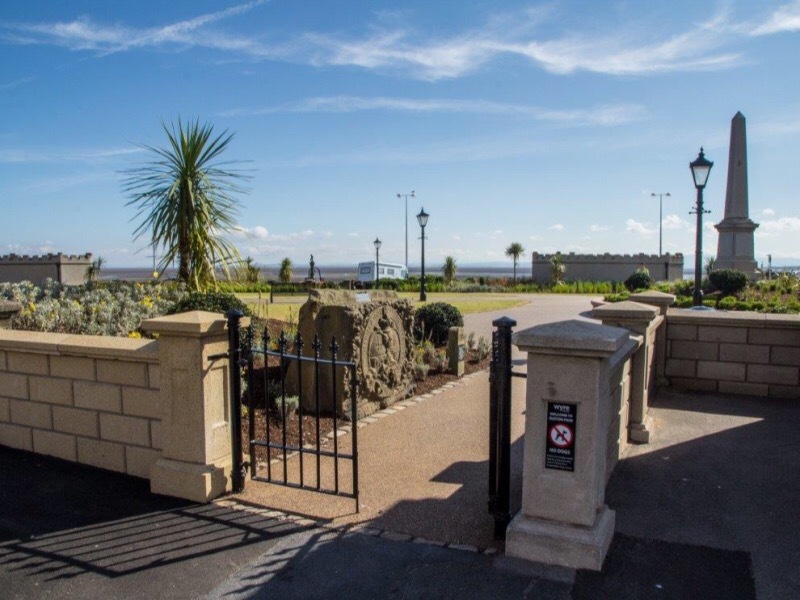 Euston Park is a jewel in the crown on Fleetwood promenade. Its is now a lovely place to sit and we hope to soon include a statue of the founder of Fleetwood to complement the scheme.